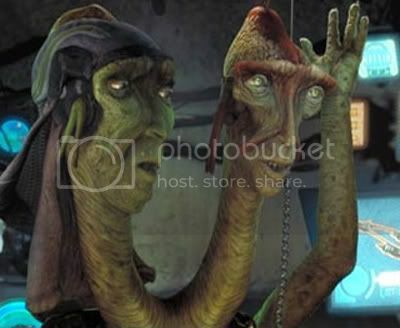 He was the 'Fode' half of the podrace announcer Fode/Beed in Episode I and recently Tal Merrick in Clone Wars. 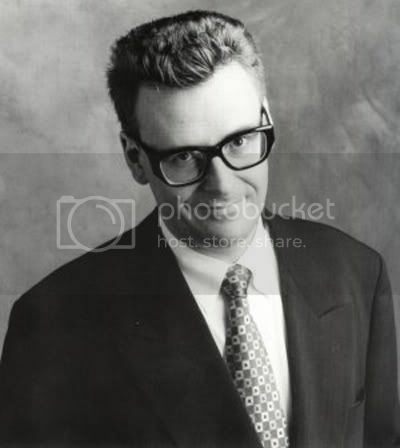 'm talking about comedian, actor, voice talent and writer Greg Proops. Mr. Proops was willing to answer some questions about his work on Star Wars and dutch soccer. Enjoy! How did you get the part for Fode in Episode I? I was performing at the Edinburgh Fringe Festival and the casting person saw me do stand up. Same with Beed who is my pal Scott Capurro. We auditioned as a team in London and got it. I assume you have seen the original trilogy many years before you were cast for Episode I. Suppose someone had said to you at the moment you saw the movie that you were going to be in a future Star Wars movie. What would you have said? 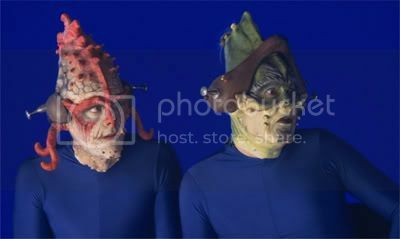 At first, Scott Capurro and you were in heavy makeup and blue bodysuits because your faces were going to be in the movie and only your bodies were going to be CGI. During the process Lucas decided that everything, including your faces, was going to be CGI. What do you think of this decision and how was your initial response? George Lucas has his vision and I was but a prawn in the salad. The face make up was quite good and took several hours to do. Can you tell something about the days you worked on Episode I. How was the atmosphere and what instructions did George Lucas give you for instance? George Lucas is as low key and cool as anyone spending a zillion dollars. He would say "that's good, want to do it again?" In the end, what do you think about the whole podrace scene? I think it is a classic scifi homage to the chariot race in Ben-Hur and of course the most thrilling part of the picture. How do you feel about being a part of the most popular movie saga ever? I love it. People write me from all over the world. It is film immortality of a special kind as the fans are very devoted. I understate. Recently you returned to Star Wars, this time for the Clone Wars TV series as Tal Merrick. How was it to return to the 'world of Star Wars'? Great. I got to play a bad guy and so I was nasty ad threatened the Princess. Unbelievably fun. Is there any chance you're going to do more work for Clone Wars or other Star Wars related projects? Suppose you could voice any Star Wars character you want to. Who would you choose and how would you voice that character? I did voice the two I wanted. I am lucky. You cannot improve on James Earl Jones and Alec Guinness. I have saved the funniest question for last: I know you're a huge baseball fan (of the San Francisco Giants). Well, I am a huge fan of Dutch soccer team PSV Eindhoven. Suppose PSV is playing against their rivals for the championship....and PSV wins. How would Fode's commentary be? It is so hot it's a Dutch oven and PSV has cooked their goose!